Matthew Haste likes the Washington Redskins. Darrin Hawes is a lifelong Dallas Cowboys fan. Come Monday morning, however, the two custodians are focused on the same goal – supporting Arrowhead Elementary School students and staff. 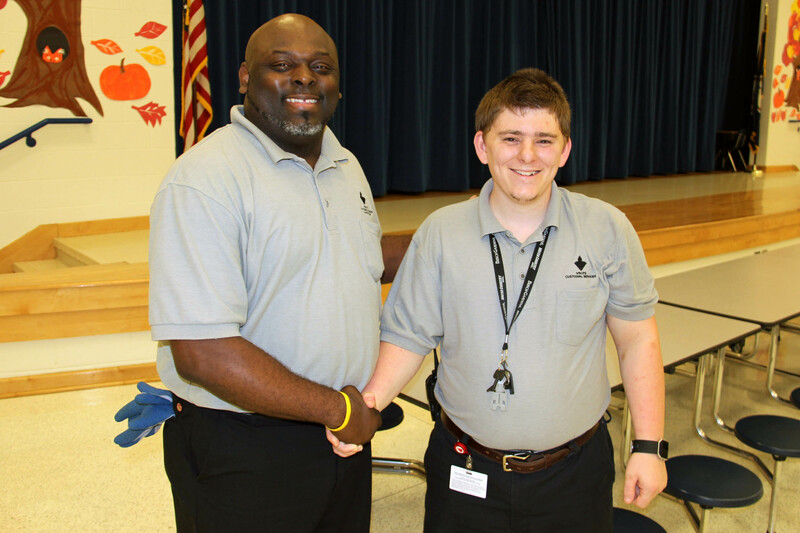 Haste, new to the Arrowhead custodial team this year, is eager to learn every aspect of the job and Hawes is a willing mentor. All of the knowledge Haste is taking in will help him fulfill his career goal. “I want to be a head custodian,” he said. Hawes is supportive, having been in Haste’s shoes one himself. 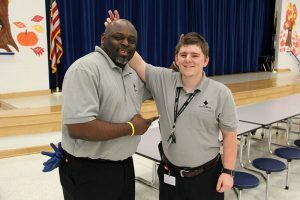 Gillikin appreciates the mentoring role Hawes has embraced and the acceptance shown for the newest member of the team by all Arrowhead custodians. 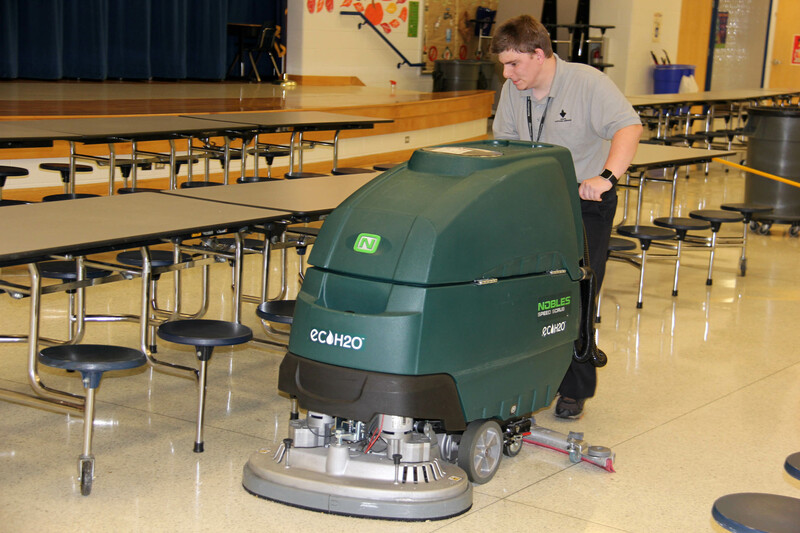 “We have an incredible custodial staff. They’re all just so nice” Gillikin said. No problem for the aspiring head custodian. He has a great mentor in Hawes and an even better attitude. “It is just a great environment to be in,” said Haste, who likes seeing students and staff during the school day hours of his shift. Hawes agrees, noting that custodians were less visible in his previous job in South Carolina. What’s also rewarding to Hawes is the good-natured ribbing that comes with any football rivalry. “Matthew, you have to say, ‘Go, Cowboys,’” Hawes said when the pair was asked to stand together for a photo. “If you don’t say, ‘Go, Cowboys,’ I’m going to put these up behind your head,” said Hawes reaching out with two fingers as bunny ears. Haste continued to protest but couldn’t stop himself from laughing. Love this!! We miss you Mr. Hawes, but we are so happy for you! You are a wonderful mentor. Keep it up! The Diamond Springs’ staff miss Mr. Hawes, but we’re proud of his promotion and mentoring! Congratulations to Mr. Haste and the Arrowhead staff!